Estonia, Latvia and Lithuania have proven to be staunch supporters of Georgia and its declared foreign policy goal − integration and eventual membership into the Euro-Atlantic area. In the context of Georgia’s achievements on its Europeanization path, having a constant support from the EU and NATO member states is significant for the country’s Euro-Atlantic future. This research paper examines the motivations behind the Baltic’s Georgian policies, their ardent backing of Georgia and its Europeanization efforts. 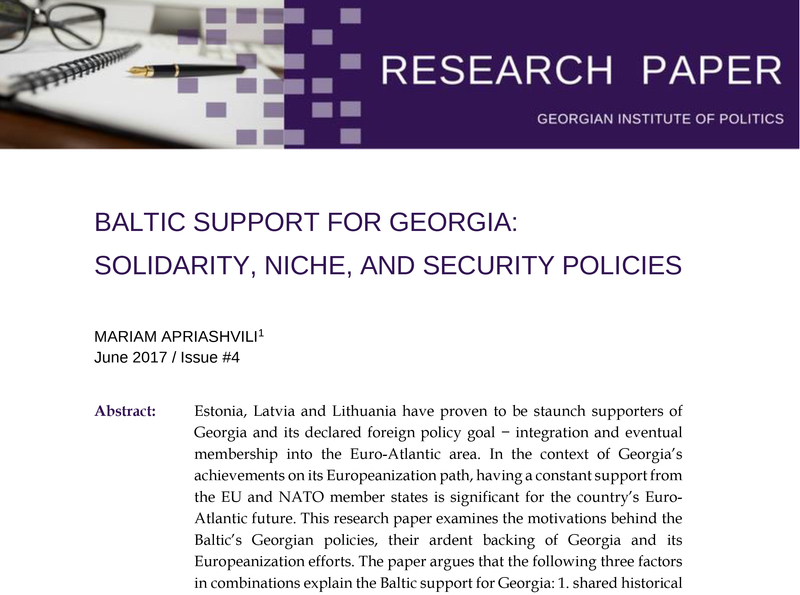 The paper argues that the following three factors in combinations explain the Baltic support for Georgia: 1. shared historical experiences − solidarity policy; 2. a desire to increase their intra-EU visibility by finding the niches where they claim to have a unique expertise − niche policy; and 3. security considerations − security policy. In other words, the Baltic States’ position towards Georgia is linked both to their identity and strategic interests. While it provides a strong basis for cooperation, it is important for Georgia not to take this support for granted, but to further strengthen ties with Estonia, Latvia and Lithuania and to continue sharing their experience, expertise and practical knowledge when it comes to reforms, democratic advancements and Euro-Atlantic integration. *Mariam Apriashvili has a Master’s degree in European Union-Russia Studies from Johan Skytte Institute of Political Studies, University of Tartu (2016). 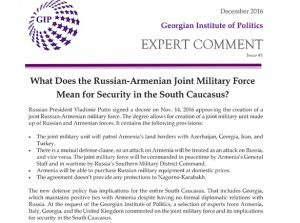 What Does the Russian-Armenian Joint Military Force Mean for Security in the South Caucasus?